1st Hole Summary: Dogleg right. This is a tough opening hole from the blue tee because of added distance, but moderately easy from the forward tees. The hole plays directly into the usual west to southwest prevailing winds. 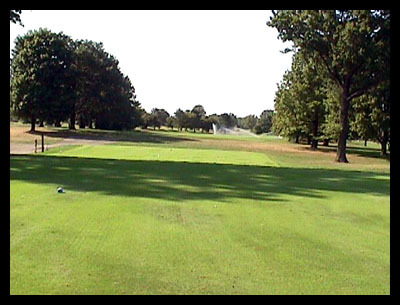 The corridor of trees bordering both sides of the fairway opens up about 130 yards off the tee to a generous landing area. A grove of mature spruce trees on the right side creates trouble for drives sliced from the forward tees.